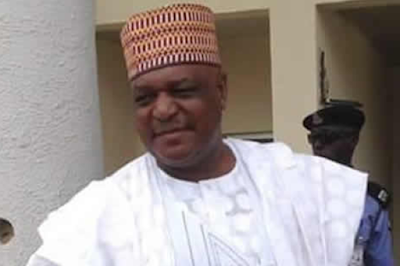 Justice Adebukola Banjoko of the High Court of the Federal Capital Territory in Gudu, Abuja, on Wednesday sentenced a former Governor of Taraba State, Jolly Nyame, to 14-year imprisonment for criminal breach of trust by misappropriating the sum of N1.64bn preferred against him by the EFCC. The ex-governor, whose name goes with the appellation of a church title of “Reverend,” was convicted on a total of 27 out of the 41 counts preferred against him. He was convicted and sentenced to various terms of imprisonment with the highest being 14 years for offences bordering on criminal breach of trust, criminal misappropriation, taking valuable thing without consideration and receiving gratification as a public officer.